Thank you for coming to Santa Fe! 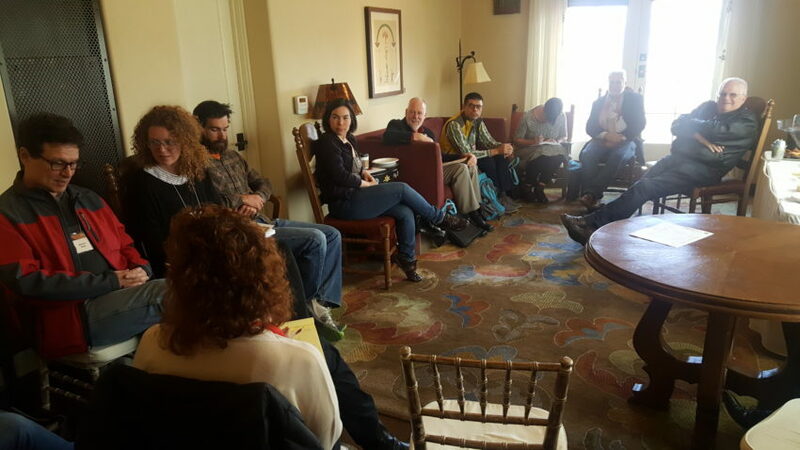 Thank you to everyone who made it to the ADTSG Business Meeting at the SfAAs last week in Santa Fe! Veteran and new members mingled and talked business while enjoying sandwiches that were graciously provided by the SfAA Business Office Team. A special thank you to the Business Team for also allowing ADTSG to gather in their hospitality suite. It was great to meet in a sunny room over a light lunch! Stay tuned for updates and information discussed at the meeting! This entry was posted in Uncategorized on 9 April, 2017 by Shana.Harris.